We all love savoury snacks especially crisps, these days crisps are available in a huge range of flavours, far too many to mention. Whatever your favourite snack is, I think everyone loves Ritz. When I was a child in the 60’s we always went to my nans house for the occasional family get together or party. But no party was a ‘proper’ party in my opinion, unless Ritz was on the table. My uncle George was always in charge of the music played at these parties and he would arrive with his massive collection of records as they were then. No CD’s or anything fancy in those days, just a record player on which you could stack records to play in order. Me and my cousin Marilyn hated all these ‘old fashioned ’ records so when he popped to get another drink we would change his nicely compiled stacks of records to be played next to suit us – well we thought it was funny, but he didn’t! The original Ritz that we all know and love is of course still on sale today and is as popular ever. But Ritz Crisp & Thin is a new product that’s been introduced to the range. Ritz Crisp & Thin is an oven-baked snack has a bit of glamour to it so you can Put on the Ritz at snack times for yourself or your next get together with friends. There’s only one slight problem, you may well not want to part with them as once you start eating them it’s actually quite hard to stop. 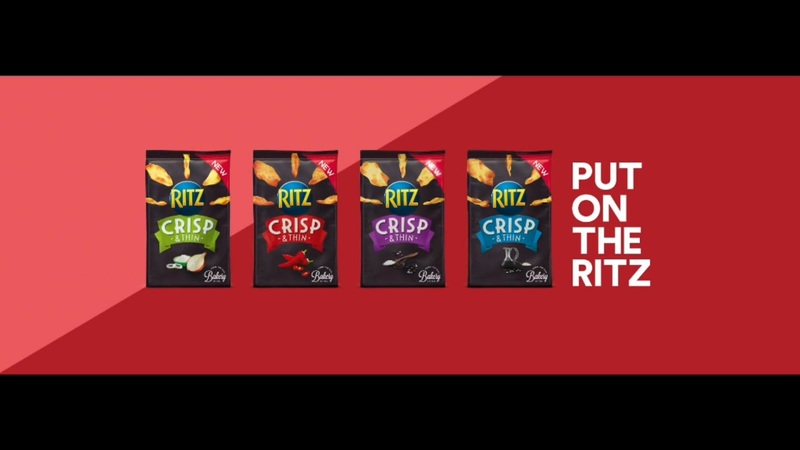 Ritz Crisp & Thin are available in Sweet Red Chilli, Sea Salt and Black Pepper, Sea Salt and Vinegar and Cream Cheese and Onion (my personal favourite). If you try them please Tweet using this hash tag #PuttingOnTheRitz and let everyone know how much you liked them and say which your favourite flavour is. Disclaimer - This is a sponsored for Ritz. All thoughts and opinions are my own.